﻿Have Ebooks Run Their Course? One of the mainstays of Internet marketing has been ebooks. 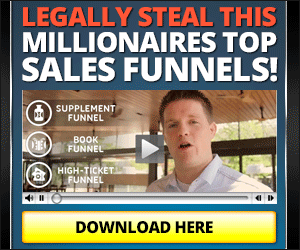 Thousands of businesses have made fortunes selling ebooks for $50 a shot. However, with the unparalleled expanse of the Internet, the amount of free content has increased making it difficult to prove that there is enough valuable information to sell the ebook. E-courses have also made it difficult to sell ebooks. An online course is non-passive, and most sell for less than $30,making them a better deal than ebooks. This in itself makes it difficult to push ebooks. More ecommerce owners are finding that people are just not downloading the ebooks anymore, even if they are given away free. This forces many ebook authors to consider alternatives to selling from their website. There are many stores online that sell ebooks. Some of these are major, including www.fictionwise.com , www.booksurge.com and www.ebookmall.com. These sites will convert to mobipocket, PDF, Palm, Word, and other digital book readers. Fictionwise sells more than 40 000 ebooks a month, generating $2.5 million dollars in sales a year. While selling books through these distributors only offers an average $5 – 10 revenue, and 50% must be shared with the distributor, the quality sold will far out perform selling from the web. These sites will also sell converted versions of the book. Selling an ebook in mobi format, audio, or Palm will increase its credibility. Also, selling from a site like fictionwise will give the book credibility. The ISBN number is the code assigned to all ‘real’ books. What most ecommerce business owners know is that they may privately apply for an ISBN. This number lets them sell the book via ‘real’ bookstores like Barns & Noble and Amazon.com. ISBN numbers are cheap, or free, depending on the country. An ISBN will also give you more opportunities to sell – like in print. Even if you never release the book in print, having an ISBN number on a book says that it is legit and valuable. Most ebook owners never dream that their book can be published in Print, or sold in bookstores, but they can. It is very easy to prepare a book for print and have it released in bookstores. One of the best, and cheapest companies to deal with is www.lulu.com. They will release the book in print and PDF. They also have a $150 service that will distribute the book through two distribution companies, one in the UK and one in the USA. Bookstores purchase books from these distributors. Not only will lulu make it easy for you to get your books into print, but they will put a ‘published by lulu.com’ so that the books looks like it was published through traditional methods. The business owner may still sell their book from their ecommerce website. The business owner may still give the book away as a free offer, but now they are giving something of value away. Now they are offering a digital version of a ‘real’ book. Every great business opportunity is followed by sharks. There are scams in the ebook and print book industry. Self-publishing vanity presses can charge as much as $3000 for the same service that lulu.com will do for $150. Also, there is no need to pay high fees to distribute books. And, with today’s Print On Demand industry, there is no reason to pay for a hundred copies of your book. Lulu.com and booksurge.com print one book at a time, ‘after’ your customer pays for them.